White gold 2 gem ring, genuine tourmaline and amethyst. 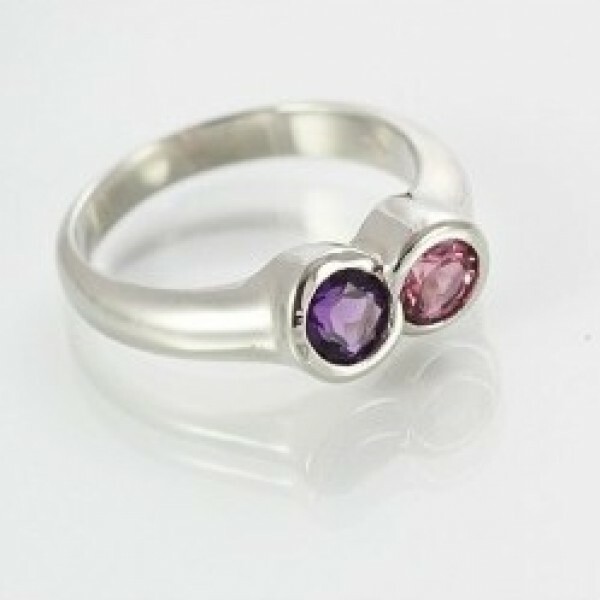 Elegant, white gold ring featuring a cushion cut pink tourmaline and amethyst gemstone. The perfect piece for that special occasion.